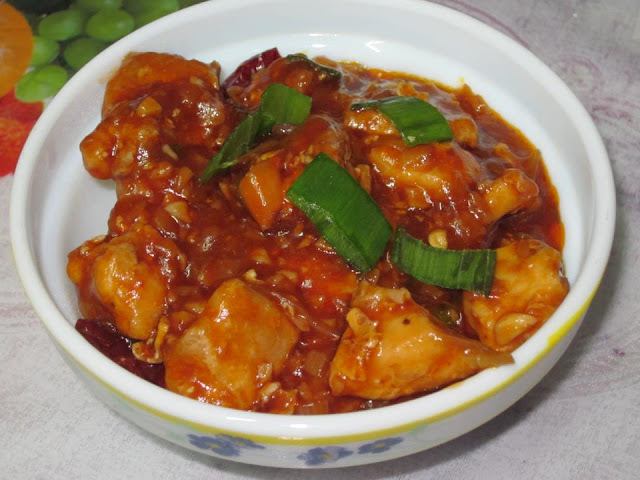 The Tummy Tales: Chinese Food! I have noticed that whenever I go to a restaurant, somehow I tend to flip to the Chinese section of the menu and order something from there. Can’t really help; I doubt any other cuisine in the world offers such a unique combination of colour, texture, cooking and tastes. That is perhaps the reason why almost every street in the world would have a Chinese restaurant. Although Chinese food has faced criticism in the past for its excessive use of sodium (salts) and Mono-sodium Glutamate (Ajino motto), the fact is that authentic Chinese food is healthy and a food connoisseurs delight. My first experience with Chinese was when I was in college and happened to visit a newly opened Chinese restaurant in the college vicinity. I sat observing the chef who expertly went about his task off tossing and flipping the rice, noodles he prepared like a pro. Excited, I came home and tried the same, ending up with nothing more than a Chinese khichdi and a very messy kitchen that my dear mum spent the rest of the day cleaning. Coming back, Chinese is one of the few cuisines in the world that manages to retain the original flavors and textures of the ingredients used. There is a generous usage of vegetable, meat, fish, or poultry. The cooking is done on a high flame that helps retain the crunch of the vegetables and the taste of the meats. Another reason for the popularity is that Chinese is relatively easy to prepare (just change a few ingredients and sauces and ……. Presto, you have a new dish) and it’s adaptability to the local cuisine. I have seen almost every Indian dish coming under the Chinese influence right from dosa’s to samosa’s to even a schezwan dhokla. What I’ve made today is an authentic Chinese meal with an Indian touch. 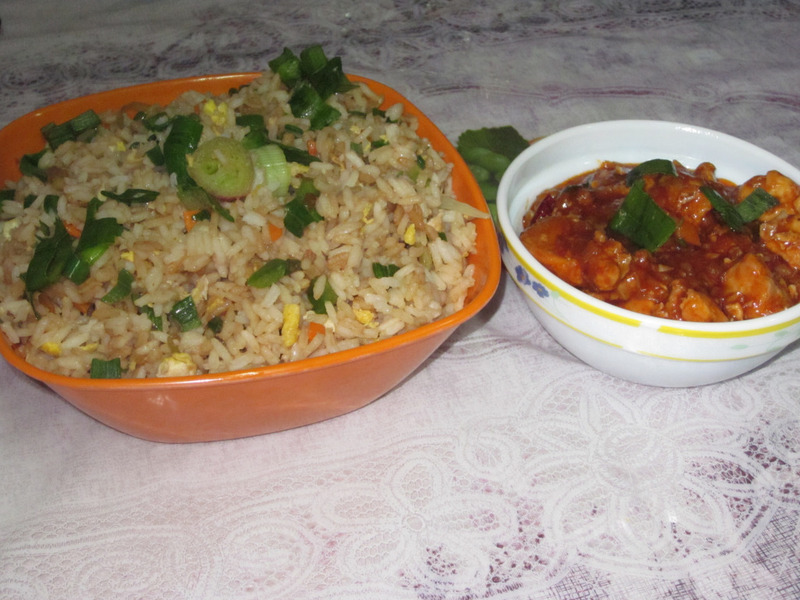 Burnt Garlic Fried rice & Schezwan Hot Chicken. Call it a Chinese meal or Indo-Chinese fusion, the taste was awesome nevertheless. • In a wok or a deep bottomed pan, heat oil till just before smoking point. Add the egg and stir well so it becomes like a minced omlette. • Add in the garlic and let it brown. Take care not to burn it or it will give out a bitter taste. • Add in the ginger and onions stir quickly. • Now, add some of the mixed vegetables, rice, and 1 tablespoon soya sauce and stir well. Repeat the same with the other batch of vegetables and rice and the remaining soya sauce, salt and keep stirring. • Serve hot garnished with spring onion greens. Heat oil in a pan and fry the chicken pieces till they are golden brown. This should not take more than 2 minutes if the oil is smoking hot; else 5 minutes. Take out and drain the excess oil on an absorbent paper. For the gravy, add in the 3 tablespoon oil, add in the ginger garlic, red chilies, and stir well quickly. Next add in the onions, red chili paste, and ketchup stirring it well. Now, add in the soya sauce and some water. When it comes to a boil, add in the chicken pieces and the spring onion greens and salt. Dissolve the remaining corn flour in water and stir well to make a solution. Add this to the gravy. Adding corn flour thickens the gravy giving it texture and also gives it a gloss. Add in the vinegar and give it one last mix. Garnish with remaining spring onion greens and serve hot with the fried rice or noodles. 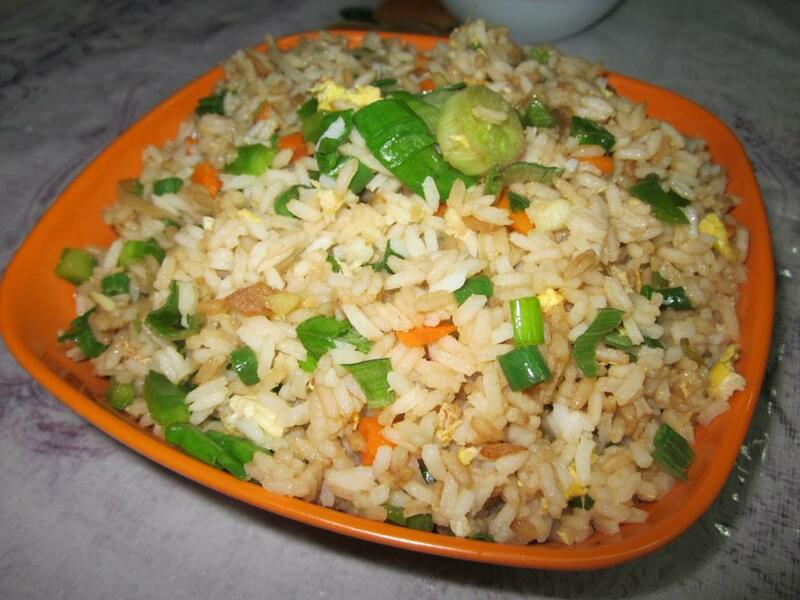 Traditionally, fried rice is prepared using rice is slightly old. If possible, try and use rice that has been prepared probably the night before. It tastes better with rice that is slightly thick grained, so try and avoid the basmati variety. To prepare the red chili paste, soak 3-4 red chilies in warm water for half an hour and then grind to a fine paste along with 2 cloves of garlic and ½ teaspoon of cumin seeds. This paste can be used for any other gravy as well. Be careful when using salt for the seasoning as soya sauce already has a very high salt content. Also, when you buy soya sauce remember to check the label. Dark soya sauce is for the colour and light soya sauce is for the taste. I have mentioned in the blog about cooking on a high flame. Please be careful when you’re trying this for the first time. Well, even as you enjoy your Chinese meal, Keep smiling and happy cooking!!!! !